Leon Kros is a veteran of more than 30 years in the security industry. He joined the GSCID in June 2012 as Patrol Officer where he has proven himself many times over in the course of his duties, and has received acknowledgement within the GSCID through its badge of excellence and achievement awards program. In April this year, Kros was promoted to Contract Supervisor with responsibility for a team of 16 GSCID patrol staff. He motivates his team through leading by example and believes his open door policy goes a long way toward establishing trusting relationships with his colleagues in the patrolling staff which he leads. Highlights of his career include his excellent arrest record and the more than 20 certificates he has received whilst in the employ of the GSCID. Kros says his experience and instincts enable him to spot suspicious behaviour very easily. Many culprits are caught by him ‘while in the act’ as he patrols in one of the six GSCID vehicles covering the assigned territory. Often he will undertake a stop and search if he notices something untoward and will call for SAPS back-up if need be. 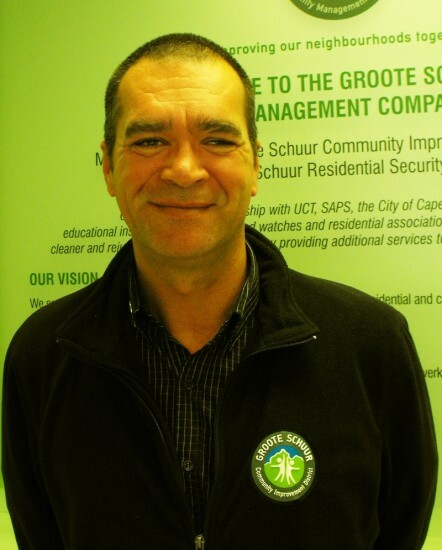 One of the many challenges facing him at the GSCID is dealing with vagrants and day strollers who move into the area, many of whom are responsible for the less serious crimes in the area such as theft out of vehicles and housebreaking. According to Kros, the more onerous task of combating business theft and organised crime present is an even bigger challenge, while muggings and other contact crimes all form part of what he has to deal with on a daily basis. Kros emphasises the importance of team work and partnerships with SAPS and other local security agencies. “Visible policing and patrolling is critical in deterring crime in the area,” he says. “The GSCID covers a large area of responsibility and it is critical to foster co-operation between all the stakeholders involved.” He recently attended a meeting with local nightclub owners to motivate them to take action against criminal activity within their clubs and immediate surrounds, emphasising the role of the club owners in securing their venue and keeping their patrons safe including taking responsibility for their immediate area outside their premises.